As one of the nine key priority areas in the National Settlement Services Outcomes Standards (NSSOS), SCoA views Justice as a vital part of settlement. For this reason, we were pleased to host research intern Neha Prakash, who conducted research into access to justice for newly arrived people from CALD backgrounds. Her research highlighted key issues in access to justice, including barriers to justice, and case studies that demonstrate best-practice principles under the NSSOS. We welcome input from our members and other interested parties, and invite you to contact our National Office on 02 6282 8515 or info@scoa.org.au if you have any thoughts or insights. Read the initial report here. The Settlement Council of Australia (SCOA); Refugee Council of Australia (RCOA); the National Ethnic Disability Alliance (NEDA); and the Federation of Ethnic Communities’ Councils of Australia (FECCA) released a new report outlining the significant obstacles faced by refugees with disabilities who are living in Australia in February 2019. The report, entitled Barriers and Exclusions: the support needs of newly arrived refugees with a disability, is based on consultations with affected individuals and service providers. It reveals that despite policy improvements which have enabled more refugees with disabilities to settle in Australia, many people still face barriers to resettlement upon arrival. The report identifies a number of hurdles for newly arrived refugees with disabilities including: access to timely assessment and support; provision of essential equipment and aides; lack of accessible and appropriate housing; inadequate support within the National Disability Insurance Scheme (NDIS); lack of culturally appropriate disability services; and lack of translating and interpreting services within disability services and the NDIS. SCoA's 2017-18 Annual Report was launched at our Annual General Meeting on 1 November 2018. SCoA has updated its infographic card which analyses the fundamentals of effective settlement in Australia. SCoA has developed a useful information card which analyses the fundamentals of multiculturalism in Australia. In September 2018 Relationships Australia released its research paper on Is Australia experiencing an epidemic of loneliness? : Findings from 16 waves of the Household Income and Labour Dynamics of Australia (HILDA) Survey. SCOA welcomes this important report and has provided some additional comments about the experiences of loneliness among recently arrived humanitarian entrants. As the national peak body for settlement in Australia, the Settlement Council of Australia welcomes the government’s commitment to the delivery of settlement services that are focused on achieving effective settlement outcomes for recently arrived migrants from a refugee background. In 2017, this commitment was manifested in the introduction of the Humanitarian Settlement Program (HSP), which targets settlement service delivery for the first twelve months post arrival and has a stated focus on increasing outcomes against the “3E’s”: Employment, Education and English. Since the introduction of the HSP, almost 12 months ago, SCoA has had regular discussions with government and with our members about the program, its delivery and its stated policy objectives. Arising out of those discussions, SCoA has developed a survey to test the views of the settlement sector about the HSP and determine how best SCoA can advocate on behalf of all members. The survey, which is entirely anonymous and will be collated and analysed by an independent consultant, will enable us to synthesize the most common areas where practical improvements could be made, with the intention of providing input into the outcomes-focus of the HSP. Our intention, in light of our role as peak body, is to provide a cohesive voice for the sector on this important program.We have discussed the survey in detail with government, which has expressed its support for this approach and is eagerly awaiting practical insights that will inform the ongoing improvement of policy and practice in the HSP model. The survey will take only ten minutes to complete and we strongly encourage every SCoA member to participate (and where relevant, multiple staff within each member organisation). It is designed to capture information from service providers both directly and indirectly involved in the HSP program. Please click here to complete the survey today! The survey will close on Friday 14 September 2018. In 2018 SCoA has been actively involved in the Federal government's review of future of employment services. SCoA's 2017-2018 Achievements Record is now available. The document catalogues SCoA's work over 2017-2018, including our key activities representing and promoting the work of the sector and supporting our members across the country. Please download the attached document for a snapshot of our work promoting the best possible settlement outcomes for migrants in Australia. The Federal Government has proposed to increase the Newly Arrived Residents Waiting Period (NARWP) for social services payments from two years to three (and, subsequently in the 2018 Budget, to four years). In March 2018, SCoA made a submission to the Senate Community Affairs Legislation Committee outlining our concerns about the proposed increase. Our Submission can be accessed below. SCoA Members are invited to take part in our 2018 Online Survey covering a range of topics of importance to settlement in Australia in 2018. The survey will take just 10 minutes to complete and is open until Friday 8 June 2018. The survey is completely anonymous and is open to all staff members within SCoA member organisations. We therefore hope that members will circulate this widely and encourage staff and colleagues to complete the survey. Please click here to complete the survey today! Consideration be given to additional resourcing to the Office of the Migration Agents Registration Authority (OMARA), including the maintenance of a compensation fund for individuals who are left out of pocket as a result of unethical behaviour. As one of the nine key priority areas in the National Settlement Services Outcomes Standards, we view Education as an area of paramount importance in migrant's settlement journeys. For this reason, we were pleased to host an intern from the University of Sydney, Madi Cooper, in January and February 2018. Madi conducted crucial research into the current approach across Australia to education opportunities for migrant and refugee children through primary and secondary schooling. Her research built on initial research prepared for SCoA in 2017 by another intern, Divya Kaliyaperumal, who came to SCoA through the Australian National Internship Program. Divya and Madi's work highlights the importance of education as a settlement outcome and identifies the different approaches across the country to ensuring education needs are met. Building on this research we have identified areas in need of further exploration with a view to developing a comprehensive policy approach that will help to improve outcomes. We welcome input from our members and other interested parties, and invite you to contact our National Office on 02 6282 8515 or info@scoa.org.au if you have any thoughts or insights. Read the initial report here. Following a national consultation, SCoA has made a submission to the Department of Home Affairs consultation into planning for the 2018-19 Migration Program. Highlighting the crucial importance of migration to Australia - both in economic and social terms - SCoA's submission calls on the government to adopt a settlement-focus towards immigration policies that will ensure the success of our Migration Program into the future. SCoA has also used this opportunity to call for a holistic plan for the Migration Program which takes into account both global trends and Australia's needs into the future. We recommend the government learn from the successful National Settlement Framework and adopt a plan across all levels of government that will ensure our Migration Program remains flexible and dynamic. Finally, SCoA has urged the government to review opportunities to increase access to the Migration Program for humanitarian migrants, including by investigating options to make skilled and other general visa streams more accessible and, crucially, prioritising family migration opportunities as a matter of urgency. As a common theme across our submission, SCoA views the role of settlement services as being integral to ensuring that all new arrivals are empowered to achieve independence and become fully contributing members of the community. We see this as being the vital key to striking the best balance in our Migration Program and unlocking its full potential. You can read SCoA's full submission here. In Semester 2, 2017, SCoA was pleased to host a student through the Australian National Internship Program. Rebecca is studying psychology at the ANU and embarked on some research into the mental health of refugees and the impacts of social engagement. You can download a copy of her research below. A number of SCoA members provided valuable insights to Rebecca's research and we thank them for their time. If you have any further thoughts about this issue, or would like to discuss it further, please contact our National Office on 02 6282 8515 or info@scoa.org.au. A key objective of SCoA in recent years has been to develop a set of national standards for the delivery of settlement services which identify target outcomes across 9 key areas of settlement service delivery. The National Settlement Services Outcomes Standards (“NSSOS”) were officially launched at the International Conference of the SCoA in Melbourne in May 2016 and identify nine areas of equal importance that enable members to benchmark their service delivery against key practical considerations that contribute to successful settlement. Rather than attempting to impose new regulatory burdens on agencies operating in the settlement services sector, these standards reflect best practice and highlight the considerable work and commitment invested by SCoA members to ensure the best possible outcomes for recently arrived migrants. Access to suitable and sustainable housing is becoming an increasingly challenging issue in Australia. While this affects broad groups across the country, new arrivals face more hurdles than most when it comes to accessing housing. These hurdles include a number of factors such as a lack of understanding of Australian systems, lack of English, low income and insecure visa status. We find that these factors lead new arrivals to live in precarious housing situations. This is a growing concern, as not having access to appropriate housing impacts on many areas of life including health, employment, community participation, education and training and inevitably stifles new arrivals’ settlement prospects. Despite these obstacles, settlement agencies have been able to overcome some of the barriers to accessing adequate housing for new arrivals by seeking and implementing creative solutions. We have heard about countless examples of new arrivals attaining secure long-term housing across Australia through the tireless and innovative support of settlement agencies. Read our briefing paper on Housing for more information. Overwhelmingly, SCoA believes that Australia’s humanitarian programme, and the labour market outcomes it delivers, are a success story to be proud of. 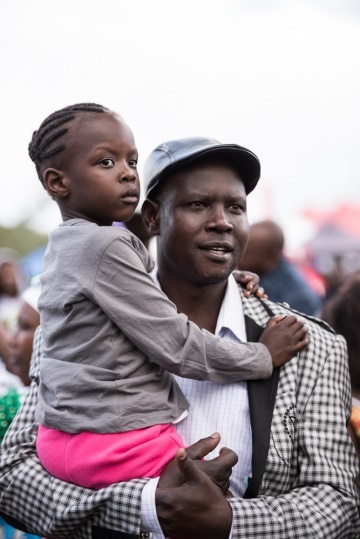 With the support of the settlement sector in establish solid foundations for their lives in Australia, migrants from a refugee background overcome great challenges and achieve levels of economic engagement that are envied across similar resettlement nations worldwide. In April 2017 the Federal Government proposed to make changes to citizenship requirements in Australia. The details of the proposal are contained in the Strengthening the Test for Australian Citizenship discussion paper. Australia is a nation built on immigration. It is repeatedly celebrated for its ability to include people from diverse backgrounds, skills and experience, and for the diversity and prosperity that this brings. It is widely accepted that Australia’s citizenship laws have played a crucial role in fostering inclusion and enabling the country to welcome migrants and encourage them to become part of the Australian community. This submission was released in June 2017.